Photography that moves your soul. We have been in the midst of a massive heatwave here in Chicago. While the heat has been more than a little overwhelming, this family session really captured the essence of the Fall/Summer mix we've been experiencing around here. I just love how these vibrant fall colors are popping with the sun! And those Lily Pulitzer matching dresses - beyond words perfect! 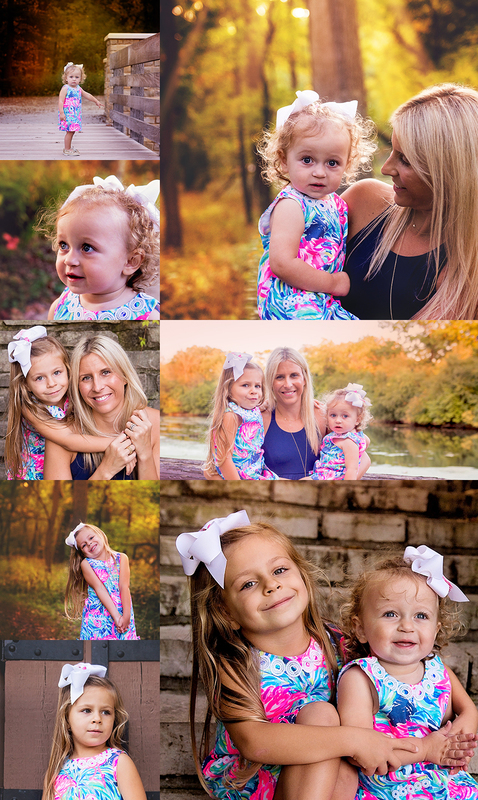 Melissa Zimmer September 19, 2017 Chicago Family Photographer, Hinsdale Family Photographer, Clarendon Hills Family Photographer, Darien Family Photographer, Downers Grover Family Photographer, Family Session Tips, Have fun!